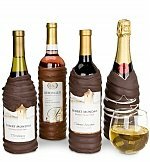 Shop for fine wine and champagne gift baskets for shipping and delivery to anywhere in the United States - USA. Savor the taste of a crisp Champagne or a fine wine paired with rich, decadent Guittard dark chocolate in a beautiful and unf.. 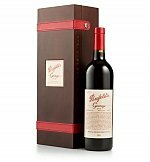 Listed as a Heritage Icon by the National Trust of South Australia, The 2010 Grange received three perfect 100 point scores f.. 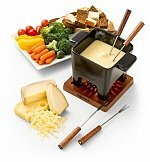 Perfect for your favorite oenophile or casual wine sipper, the Rackpack is an elegant wine carrier, constructed from solid pi..
Three different smooth-melting rich cheeses from Murrays are included with a Boska fondue pot, creating a unique gift thats e.. Deep and complex, rich and luxurious. 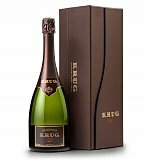 Rated 96 Points by Wine & Spirits, the 2000 Krug Brut Champagne is an expressive co.. The best of the Pacific Northwest is all here, starring Portlands own Bee Local honey and Bittermans salt with two bottles of..
© Copyright 2006-2013 SendLuv.com Gift Baskets. All Rights Reserved. 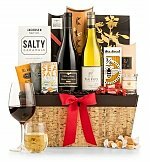 - SendLuv.com Gift Baskets is pleased to offer you fabulous gift baskets, spa gift baskets, wine gift baskets, chocolate gift baskets, gourmet gift baskets, candy gift baskets, baby gift baskets, and flowers for just about any occasion. 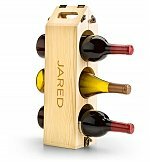 Birthdays, Holidays (Christmas, Valentine's Day, Mother's Day, Father's Day, Easter), Weddings, New Homes, New Baby, Anniversary, Get Well, Sympathy, Administrator's Day, Corporate/Executive Gift Giving, Wine Gift Baskets and more. Send a bouquet of flowers just to show you care or say "I'm thinking of you."